EVERYTHING CHANGES .... it’s inevitable, Creator God designed it that way! ‘To everything there is a season and a time for every purpose under heaven.’ Ecclesiastes 3:1. With loving eyes our Father looks and sees in us all that He intended us to be and, not prepared to leave us as we are, His transforming power takes hold of our lives, moulding and fashioning us into the image of the Son. As a child of God YOU are a new creation ... have confidence, He who began a good work in you will see it through to completion! And yet, so often we resist the change because it’s uncomfortable; we retreat from the battle because our eyes are on the situation and not fixed on the One who commands the outcome. But, what if ... what if we fully trusted in the One in whom there is no change or variation? What if we whole-heartedly embraced His promises and stood on the truth of His word in every moment? What if we had no fear of failure or rejection, no fear of being judged by man or fear of being ridiculed? 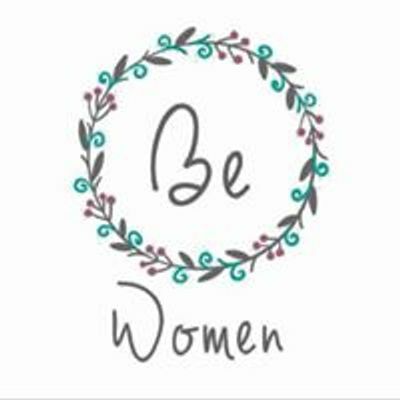 What if we could see ourselves as the Father sees us? Would we then step into change with boldness and expectation, excited to see God’s plan unfold? 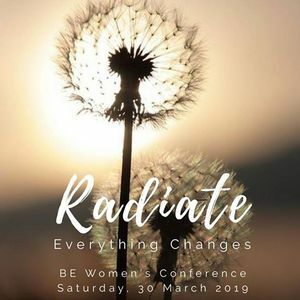 We are so excited to explore this at our BE Women conference, Radiate, on Saturday 30 March 2019 from 9:30 to 5:30. With guest speakers Estelle Wallace (The Shrink Coach) and Amanda Mitchell from Crown Jesus Ministries and Bangor Elim's own Karen Small. Costing £18, to include the cost of lunch and refreshments.